(First) Plaek Phibunsongkhram, Chief of the Thai Army and Prime Minister from 1938 until 1944. (Second) King Ananda Mahidol. During the war he stayed in neutral Switzerland. He returned to Thailand in 1945. Thailand during World War II Orthographic map. The territories and boundaries of Kingdom of Thailand in World War II. The Japanese invasion of Thailand occurred on 8 December 1941. It was briefly fought between the Kingdom of Thailand and the Empire of Japan. Despite fierce fighting in Southern Thailand, the fighting lasted only five hours before ending in a ceasefire. Thailand and Japan then formed an alliance, making Thailand part of the Axis' alliance until the end of World War II. Meanwhile, the Thai government had split into two factions, the Phibun regime and a well-organised, pro-Allied resistance movement that eventually numbered around 90,000 Thai guerrillas,  supported by government officials allied to the regent Pridi Banomyong. 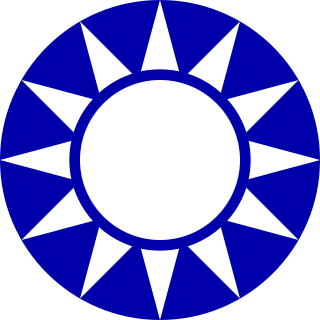 The movement was active from 1942, resisting the Phibun regime and the Japanese. The partisans provided espionage services to the Allies, performed some sabotage activities, and helped engineer Phibun's downfall in 1944. After the war, Thailand received little punishment for its wartime role under Phibun. The Free Thai Movement was a Thai underground resistance movement against Imperial Japan during World War II. 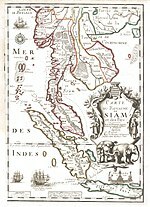 Seri Thai were an important source of military intelligence for the Allies in the region. Pridi Banomyong was a Thai politician and professor. He was a prime minister and senior statesman of Thailand, and the centenary of his birth was celebrated by UNESCO in 2000. Operation Krohcol, or the Battle for The Ledge, was a British operation in December 1941 to invade southern Thailand following the Japanese invasion of Malaya and of Thailand during World War II. It was authorised by Lieutenant-General Arthur Percival as a "mini Matador" after Operation Matador, a pre-emptive strike into Thailand which had been opposed by the British government and was not carried out. Due to delays in authorisation by Percival and in the forwarding of his order, the need to reorganise the troops for Krohcol instead of Matador, and resistance from Thai policemen the Krohcol column did not reach the Ledge in time. The Franco-Thai War (1940–1941) was fought between Thailand and Vichy France over certain areas of French Indochina. The Siamese revolution of 1932 or the Siamese coup d'état of 1932 was a crucial turning point in 20th-century Thai history. The revolution, a coup d'état, was a nearly bloodless transition on 24 June 1932, which changed the system of government in Siam from an absolute monarchy to a constitutional monarchy. The "revolution" was brought about by a comparatively small group of military and civilians, who formed Siam's first political party, the Khana Ratsadon. It ended 150 years of absolutism under the Chakri Dynasty and almost 800 years of absolute rule of kings over Thai history. It was a product of global historical change as well as domestic social and political changes. It also resulted in the people of Siam being granted their first constitution. Fascism is a form of radical, right-wing, authoritarian ultranationalism, characterized by dictatorial power, forcible suppression of opposition and strong regimentation of society and of the economy, which came to prominence in early 20th-century Europe. The first fascist movements emerged in Italy during World War I before it spread to other European countries. Opposed to liberalism, Marxism and anarchism, fascism is placed on the far-right within the traditional left–right spectrum. Prajadhipok, also Rama VII, was the seventh monarch of Siam of the Chakri dynasty. He was the last absolute monarch and the first constitutional monarch of the country. His reign was a turbulent time for Siam due to political and social changes during the Revolution of 1932. He is to date the only Siamese monarch of the Chakri Dynasty to abdicate. On October 1940, the Franco–Thai War broke out, the war was a sporadic battle between Thai and French forces along Thailand's eastern frontier and culminated in an invasion of Laos and Cambodia in January 1941. The Royal Thai Armed Forces were successful in occupying the disputed territories in French Indochina, with the French scoring their only notable victory at sea at the Battle of Ko Chang. After the Franco-Thai War, Phibun compromised with Pridi, the Thai government adopted a policy of neutrality. It was sponsored by Pridi himself, produced a Thai historical drama film, The King of the White Elephant . The film carried a propaganda message from anti-war interests in Thailand: Thailand should remain neutral, only going to war to defend its sovereignty against foreign invaders. 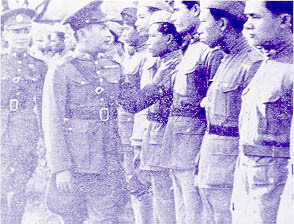 Phibun and the Thai government were still hesitant to join the Allies or the Japanese. At 23:00 on 7 December, the Japanese presented the Thai government with an ultimatum to allow the Japanese military to enter Thailand. The Thais were given two hours to respond,  but the Thai government didn't have any response. Map of the Burma front showing the conflict of Japanese-Thai and Allied forces. The Royal Thai Police resisted British Commonwealth forces invading Southern Thailand in December 1941 at The Battle for The Ledge, following the Japanese invasion of Malaya. Thailand was rewarded for Phibun's close co-operation with Japan during the early years of war with the return of further territory that had once been under Bangkok's control, namely the four northernmost Malay states after the Malayan Campaign. 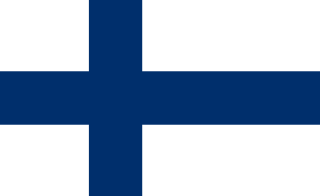 On 21 December 1941, a mutual offensive-defensive alliance pact between the two countries was signed. The agreement, revised on 30 December, gave the Japanese full access to Thai weaponry and to Thai railways, roads, airfields, naval bases, warehouses, communications systems, and barracks. To promote greater military and economic co-operation, Pridi was removed from the cabinet and offered a seat on the politically impotent Regency Council of the absent king, which he subsequently accepted. Japan meanwhile stationed 150,000 troops on Thai soil and built the infamous Death Railway through Thailand using Asian labourers and Allied prisoners of war. The Thai government declared war on Britain and the United States on 25 January 1942. With Phibun inspired by the Japanese military operation in Malaya and China, Phibun and Luang Wichit Wathakan believe that if Japanese won the war Thailand could gain some territories, finally Phibun re-adopted the previous "Great Thai Kingdom policy", but the Japanese had the idea of Greater East Asia Co-Prosperity Sphere. The Thais, who loathed the idea of being treated on the same level as the two Japanese puppet regimes, (Manchukuo and Wang Jingwei regime) initially resisted, but ultimately the Japanese had their way. With the floods, many agricultural area was flooded especially the rice field, caused seriously of rice shortage. The Thai government decided to promote people to eat noodles instead, "Pad Thai " the famous dish was also introduced at that time. Although the majority of Thais were initially "intoxicated" with Japan's string of brilliant victories in early 1942, by the end of the year there was widespread resentment as a result of arrogant Japanese behaviour and war-induced privation. Even during the early stages of the war there was friction over issues such as the confiscation of Allied property and economic and monetary matters, as well as the treatment of Thailand's ethnic Chinese community. After the Japanese Army seized Rangoon, British and Chinese troops was forced to withdraw from Burma. Since 9 May 1942, Thai Phayap army crossed Thai-Burmese border and engage the Chinese Expeditionary Force, Thais captured many Chinese soldiers, and in 1943 the Phayap Army invasion headed to Xishuangbanna at China, but were driven back by the Chinese nationalist force. The Thai government feared that Phibun might lose popularity. Consequently, the government spokesman decided to lie to its people. Luang Wichit announced the Phayap Army had captured Xishuangbanna. Thailand also oversaw a military occupation over significant sections in a Burma-China border, west of Yunnan. But despite the official territorial achievements, the so-called "Great Thai Kingdom" was a paper tiger. It was faltering as its economy failed to adapt to the conditions of war, natural disaster (floods) and the Thai capital being bombed by the Allies. The following territories of Burma, Laos, Cambodia and Malaya were returned to Thailand during World War II. All these territories were part of Thailand (Siam) before the Western Powers severed them from the Thai hegemony in the late nineteenth century. The Thai army would remain in these territories until the end of the war. Thailand was still allied with Japan when the war ended, but the United States proposed a solution. In 1946 Thailand agreed to cedes the territories regained during Japanese presence in the country as the price for admission to the United Nations, consequently all wartime claims against Thailand were dropped and the country received a substantial package of US aid. Following this event all the Thai-occupied territories returned to their pre-war status and became again part of the states from which they had been annexed. Despite the increasing domestic discontent and Japanese distrust, Phibun's political demise would not come until the following year. The Overture is a 2004 Thai tragic-nostalgia musical-drama film. A fictionalised account based on the life story of Thai palace musician Luang Pradit Phairoh (Sorn Silapabanleng), The backdrop to Sorn's life tale is the story of Thailand's classical music from its golden age during the reign of King Rama V. Until the rule of the dictator, Field Marshal Plaek Phibunsongkhram, whose government declared Thai cultural mandates, led to abolition of traditional Thai music performances, dance, theatre and culture. Khu Kam is a Thai novel written by Thommayanti. It was also adapted into a film, Sunset at Chaopraya, the story is a love triangle, set in World War II-era Thailand, and depicts the star-crossed romance between an Imperial Japanese Navy officer and a Thai woman who is involved with the Free Thai resistance. Aung Tun, Sai (2009). History of the Shan State: From Its Origins to 1962. Chiang Mai: Silk Worm Books. ISBN 978-974-9511-43-5. The history of Thailand concerns the history of the Thai people, who originally lived in southwestern China, and migrated into mainland Southeast Asia over a period of many centuries. The word Siam may have originated from Pali or Sanskrit श्याम or Mon ရာမည, probably the same root as Shan and Ahom. Chinese: 暹羅; pinyin: Xiānluó was the name for the northern kingdom centred on Sukhothai and Sawankhalok, but to the Thai themselves, the name of the country has always been Mueang Thai. Field Marshal Plaek Phibunsongkhram, locally known as Chomphon Por, contemporarily known as Phibun (Pibul) in the West, was the third and longest serving Prime Minister of Thailand and dictatorial leader of Thailand from 1938 to 1944 and 1948 to 1957. The history of Thailand from 1932 to 1973 was dominated by military dictatorships which were in power for much of the period. The main personalities of the period were the dictator Luang Phibunsongkhram, who allied the country with Japan during the Second World War, and the civilian politician Pridi Phanomyong, who founded Thammasat University and was briefly prime minister after the war. Mom Rajawongse Seni Pramoj was three times the prime minister of Thailand, a politician in the Democrat Party, lawyer, diplomat and professor. A descendant of the Thai royal family, he was the great-grandson of King Rama II. His final two terms as PM sandwiched the only term of his brother, Kukrit Pramoj. The military history of Thailand encompasses a thousand years of armed struggle, from wars of independence from the powerful Khmer Empire, through to struggles with her regional rivals of Burma and Vietnam and periods of tense standoff and conflict with the colonial empires of Britain and France. Thailand's military history, dominated by her centrality in the south-eastern Asian region, the significance of her far flung and often hostile terrain, and the changing nature of military technology, has had a decisive impact on the evolution of both Thailand and her neighbours as modern nation states. In the post-war era, Thailand's military relationship with the United States has seen her play an important role in both the Cold War and the recent War on Terror, whilst her military's involvement in domestic politics has brought frequent international attention. Tiang Sirikhanth was a Thai politician and a Seri Thai resistance leader during World War II. The Palace Rebellion was a 1949 coup attempt in Thailand. Its plotters aimed to overthrow the government of Field Marshal Plaek Phibunsongkhram and to restore his main civilian rival, Pridi Phanomyong, to the Thai political scene. Japan–Thailand relations refer to bilateral relations between Japan and Thailand. Contacts had an early start with Japanese trade on Red seal ships and the installation of Japanese communities on Siamese soil, only to be broken off with Japan's period of seclusion. Contacts resumed in the 19th century and developed to the point where Japan is today one of Thailand's foremost economic partners. Thailand and Japan share the distinction of never having lost sovereignty to the European powers during the colonial period. The Siamese coup d'état of 1947 was a Thai coup d'état that happened on the evening of 7 November 1947, ending in the early hours of the morning on 8 November. The coup ousted the government of Rear Admiral Thawan Thamrongnawasawat, who was replaced by Khuang Aphaiwong as Prime Minister of Thailand. The coup was led by Lieutenant-General Phin Chunhawan and Colonel Kat Katsongkhram. Kantarawadi (Thai: กันตรวดี), also known as Gantarawadi, was one of the Karenni States in what is today Kayah State in Burma. It was also known as "Eastern Karenni" owing to the location of part of its territory east of the Salween River. General Charun Rattanakun Seriroengrit , ; October 27, 1895 – July 19, 1983) was a Thai army officer, civil servant and politician. He was a general of the Phayap Army in the government of Plaek Phibunsongkhram in World War II. Mawkmai (Maukme) was a Shan State in what is today Burma. It belonged to the Eastern Division of the Southern Shan States. The Federated Shan States was an administrative division of the British Empire made up by the much larger Shan States and the Karenni States during British rule in Burma. 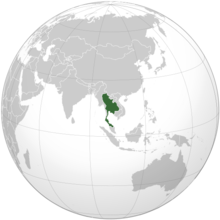 Pan-Thaiism is an ideology that flourished in Thailand in the 1930s and 1940s. It was a kind of irredentism and its aim was the political unification of all the Thai people in Thailand, Burma, Malaya, Cambodia and Laos into a greater Thai state. 1 2 3 4 5 6 7 8 9 10 11 12 13 E. Bruce Reynolds. (1994) Thailand and Japan's Southern Advance 1940–1945. St. Martin's Press ISBN 0-312-10402-2. ↑ Eiji Murashima, "The Commemorative Character of Thai Historiography: The 1942–43 Thai Military Campaign in the Shan States Depicted as a Story of National Salvation and the Restoration of Thai Independence" Modern Asian Studies, v40, n4 (2006) pp. 1053–96, p. 1057n. ↑ Thailand (Siam) History Archived 24 April 2015 at the Wayback Machine , CSMngt-Thai. ↑ Grabowsky, Volker. Regions and National Integration in Thailand 1892-1992. Wiesbaden: Harrassowitz, 1995. This article incorporates public domain text from the Library of Congress July 1994, Retrieved on 11 June 2008.